Capitolias (modern day Beit Ras) was a Roman city that belonged to the federation called the Decapolis. 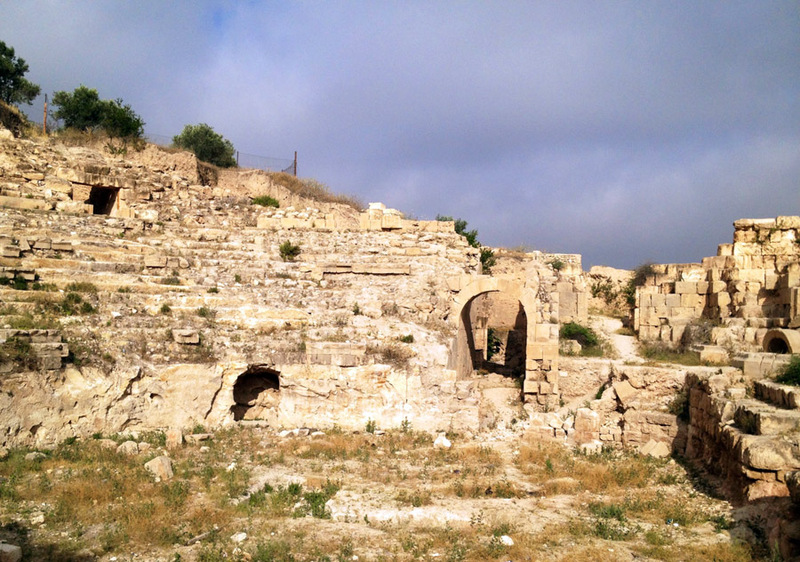 Poor preserved ruins of a Roman theater at Capitolias in modern Beit Ras, Jordan. 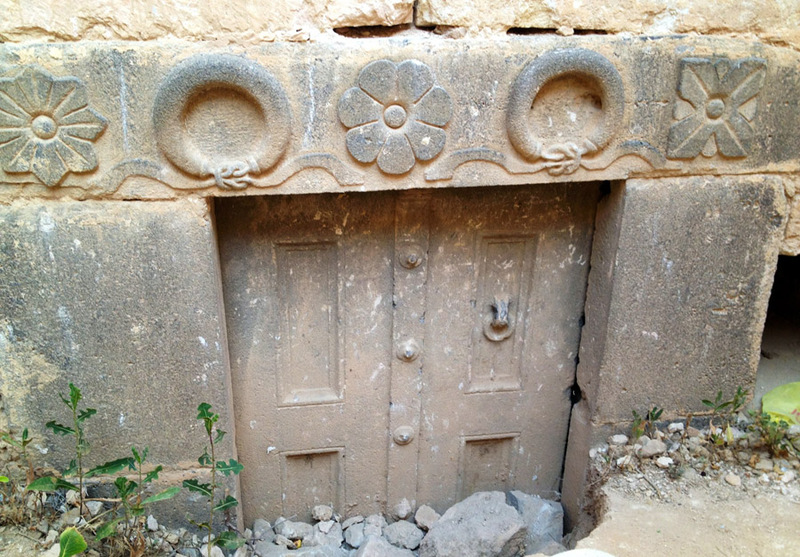 Decorated basalt lintel over the entrance to a Roman tomb at Capitolias in modern Beit Ras, Jordan. 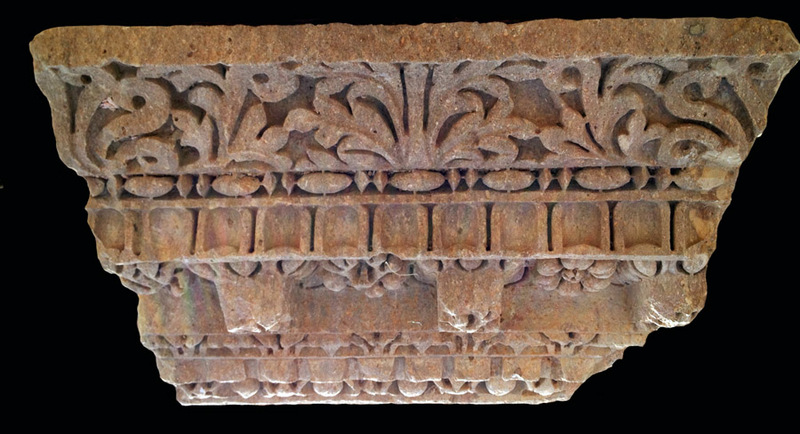 Fragment of decorated architectural detail outside of the theater of Capitolias in modern Beit Ras, Jordan. 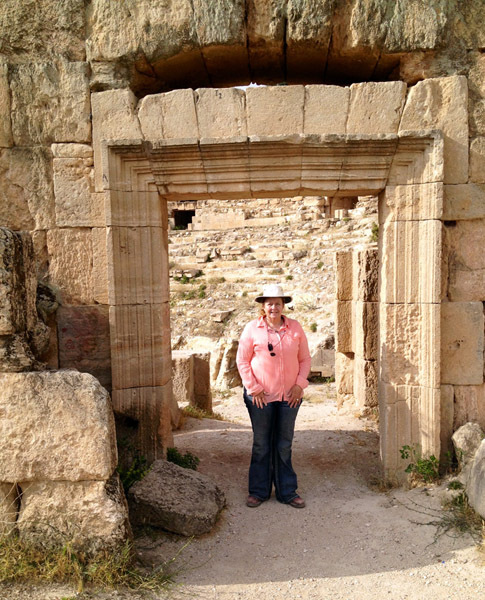 Professor Neathery Fuller in an entrance to the theater of Capitolias at Beit Ras, Jordan. 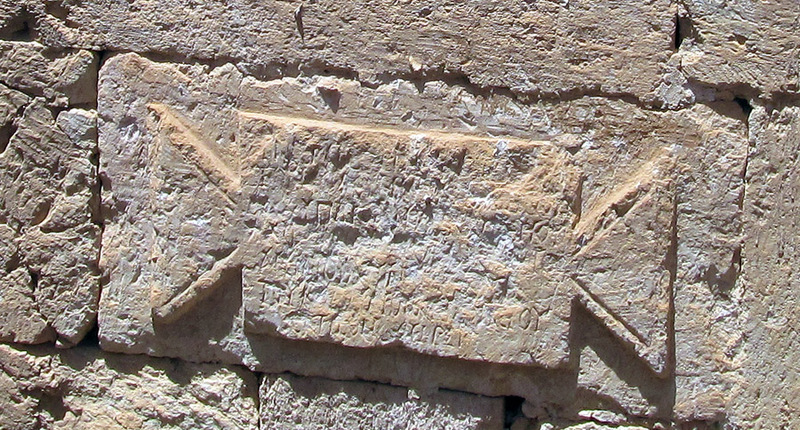 Inscription built into a portion of the Roman theater of Capitalias in modern Beit Ras, Jordan. 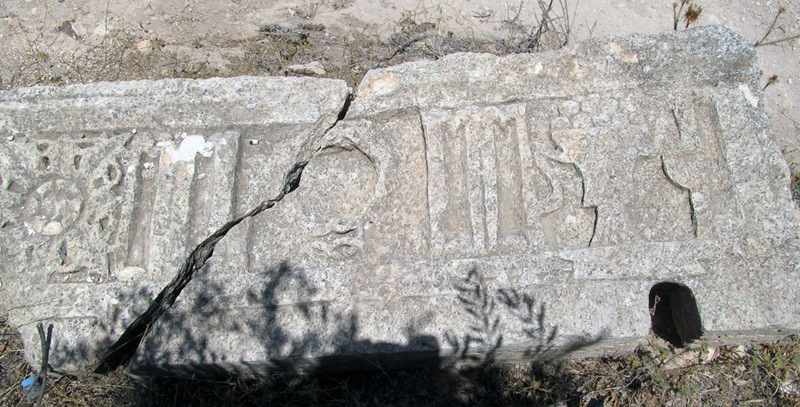 Damaged section of relief on the ground outside of the theater of Capitolias in modern Beit Ras, Jordan. 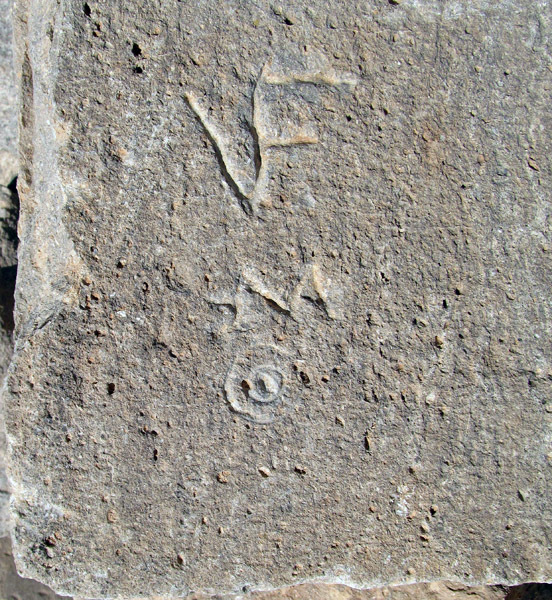 Mason marks on a stone outside of the theater of Capitolias in modern Beit Ras, Jordan.